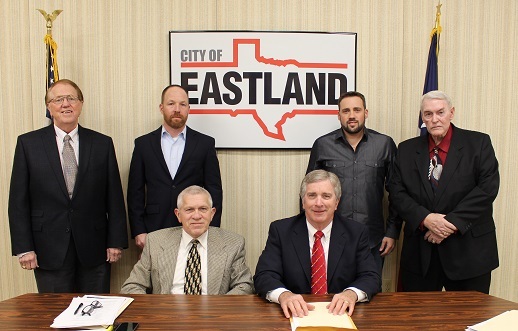 Current Eastland City Commission includes: seated l-r City Manager Ronald M. Duncan, Commissioner Larry Vernon. Standing l-r Commissioners Richard Rossander, John Bird, Zac Darr and Frank Saylors. Commission meetings are held on the third Monday of each month at 6 pm. 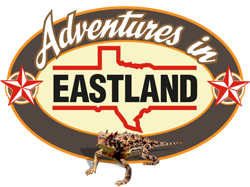 The meetings are located in the Commission Chambers at 113 E. Commerce St., east entrance. The meetings are always open to the public.